Jeremy has now given me a portal to start my evil plan into action! How perfect -getting the world to help design the very machine that will make me their leader! I suppose if they do decide to do the collapsible commuter vehicle, that would be cool too. Go check out the site – http://www.letsgodesign.tv. 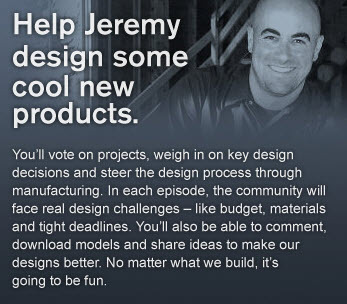 I see this as a great way to learn from each other, improve design and collaboration skills, and have a good time. As they say, no one has ever had a bad time with Luchini! Customer Spotlight- Cryogenic Equipment and Services Inc.
Having Trouble Keeping Track of Your SOLIDWORKS Activations?